Satoko is assistant professor of Global Studies Program at Akita International University. Her academic interest focuses on the governance on human movement. Her recent projects have analysed the EU’s border control and issues of forced and irregular migration in Europe, by looking at the role of such agents as the EU Agency Frontex and NGOs in search and rescue operations at sea. She holds a DPhil in Politics from the University of Sussex. 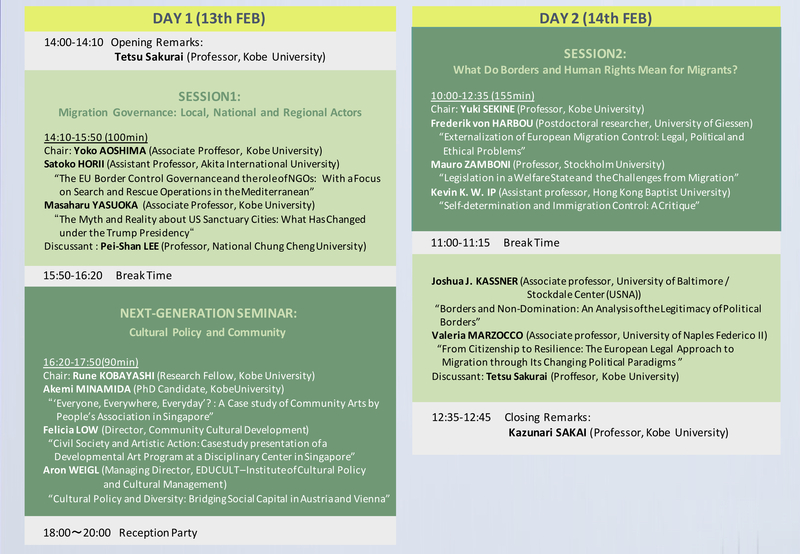 Satoko also read for a MSc in Forced Migration at the University of Oxford and a MA in International and Public Administration at Hitotsubashi University. Pei-shan Lee is Professor of Political Science at National Chung Cheng University in Taiwan. She received her Ph.D. from University of Pennsylvania in political science. Dr. Lee specializes in East Asian political economy, constitutional choices in democratization, and regional cooperation in Asia. She has published a number of articles in local and international journals, including Issues & Studies and The American Asian Review. Her works also appear in Routledge Handbook of Contemporary Taiwan (co-authored, 2016), Presidential Politics in Taiwan: The Administration of Chen Shui-bian (co-authored, 2008) and in Growth and Governance in Asia (co-authored, 2004). Her current research focuses on Migration and Identity in ASEAN and East Asia, as well as China’s Belt and Road Initiative from the Perspective of Demographic Dividend. 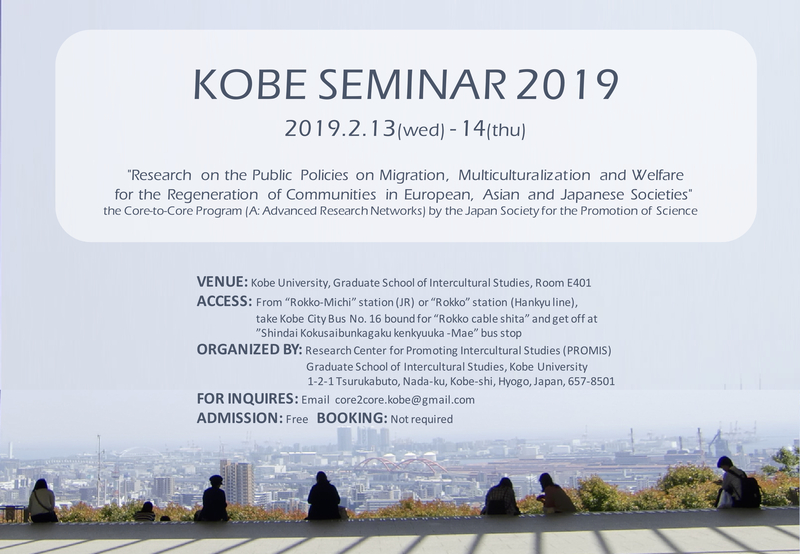 Ms. Akemi MINAMIDA is a PhD candidate at Kobe University Graduate School of Intercultural Studies and an educational assistant at Osaka College of Music. She studied classical trumpeting at Osaka College of Music and magicology at Kobe University (BA). Since enrolling as a master’s student at Kobe University, she has been researching cultural policy in Singapore. Ms. MINAMIDA was a visiting student at National University of Singapore in 2013; visiting fellow at Nanyang Technological University from 2016 to 2017; and research fellow of the Japan Society for the Promotion of Science from 2016 to 2018. Dr. Felicia Low, has been a practicing visual artist since 1999. A Lee Kong Chian scholar of the National University of Singapore, she obtained a PhD in Cultural Studies in Asia in 2015. Her research focused on the politics of participatory visual art practices with subaltern communities in Singapore. Felicia is the founding director of a not-for-profit organization, Community Cultural Development (Singapore), which aims to provide a critical discursive platform for artistic practices that engage with communities in the region. She is also an associate lecturer with the Singapore University of Social Sciences and is a certified teacher of Anthropology (IB Diploma Programme). Aron Weigl studied cultural sciences and aesthetic practice at the University of Hildesheim/Germany and received a PhD in cultural policy in 2016. 2014/15, he was scholarship holder in the research program of the Institute for Foreign Relations/Stuttgart. During his studies, he was working as a project manager for the organization of international exchange programs in arts, culture and science (Goethe Institute, German-Chinese university exchange) as well as an editor of scientific publications. Since 2016 he is working at the research institute EDUCULT in Vienna/Austria with a special focus on cultural policy and arts education research. Since 2018 he is managing director of EDUCULT and member of the scientific committee of the International Conference for Cultural Policy Research (iccpr). Frederik v. Harbou is a postdoctoral researcher at the University of Giessen, his habilitation project addresses constitutional aspects of migration. Until recently, he practiced as immigration and asylum lawyer in Berlin. He published among other things on the theory of human rights, German immigration and asylum law, integration law, freedom of religion, and philosophy of migration law. Since 2018, he is also the scientific coordinator of the research project “REMAP” (Human Rights Challenges to European Migration Policy) at the University of Giessen. Mauro Zamboni is a professor in legal theory at Faculty of Law, Stockholm University (Sweden). He is also Senior Associate Research Fellow at the Institute of Advanced Legal Studies, University of London (2015- ), General Editor for the international journal Theory and Practice of Legislation (Hart Publishing), member of the board for the International Association of Legislation (IAL) and of the International Association of Social and Legal Philosophy (IVR), and Korea Legislation Research Institute Global Research Fellow (2012- ). Kevin Ip is Assistant Professor in the Department of Government and International Studies at Hong Kong Baptist University. He obtained his DPhil in political theory from the University of Oxford and was a Swire Scholar at St Antony’s College, Oxford (2006-2011). His research interests are primarily in political theory with an emphasis on global distributive justice. He is the author of Egalitarianism and Global Justice: A Relational Perspective (Palgrave Macmillan, 2016). VALERIA MARZOCCO is Associate Professor in Philosophy of Law at the University of Naples Federico II - Law Faculty. In the same Department, Prof. Marzocco held the teaching in Legal Anthropology and, since 2016, she teaches Philosophy of Law. She published Monographs and Articles on her main research interests: American Legal Realism, Legal Anthropology, Bioethics. Prof. Marzocco is Member of the Doctoral Committee in Philosophy of Law. Prof. Marzocco held Lectures and Conferences and has taken part in many National and International Projects. Since 2016, she has participated to several Seminars organized in the framework of JSPS Core-to-Core Project. Copyright Research Center for Promoting Intercultural Studies. All Rights Reserved.